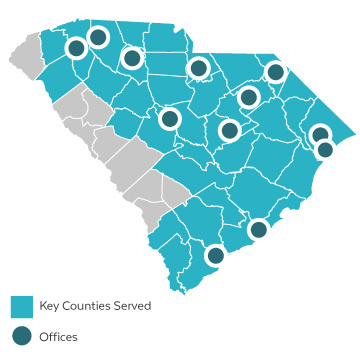 Crescent Hospice serves patients across all of South Carolina, from the Upstate, through the Midlands and across the Low Country. We continue to grow our service team in an effort to serve the entirity of the state. Please contact us to learn how we can help you, your patients, or your loved ones.